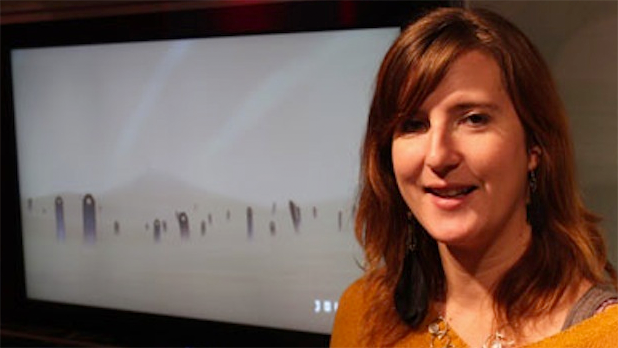 As President and Co-Founder of thatgamecompany from 2006-2012, Kellee Santiago developed one of the most prominent brands in independent and innovative game development, pushing the communicative possibilities of video games as a medium. She recently took a position as Head of Developer Relations for OUYA, and is a partner in Indie Fund, which aims to support the growth of games as a medium by helping indie developers get, and stay, financially independent. Santiago credits her experience at USC for developing her belief that games can simultaneously be both deeply engaging and wildly entertaining and for motivating her dream to share this idea with the rest of the world. Santiago graduated from the M.F.A. Interactive Media program at USC where she teamed up with fellow student and subsequent business partner, Jenova Chen, on the student-created game, Cloud. The game went on to become critically acclaimed and landed Santiago and Chen a three-game deal with Sony Computer Entertainment America, Inc. to develop downloadable games for the PlayStation Network. The three titles, flOw, Flower, and most recently, Journey, were each record-breaking commercial successes and award-winning titles (AIAS Game of the Year, BAFTA awards, GDC Game of the Year). Santiago speaks around the world at video game, business, and entertainment conferences on innovation in games, games as art, entrepreneurship and better methods for video game development. In 2010 she became a TED Fellow, and was recognized as one of The Ten Most Influential Women in Games of the Decade. Santiago was also the Chair of the IndieCade Festival Awards Jury from 2011 to 2012 and was more recently nominated for the Microsoft Women in Games Lifetime Achievement Award. For more information on Santiago, please visit: http://kelleesantiago.com.